We believe that our school community should strive to be an example of the kind of national and global community we would like to see in the future. 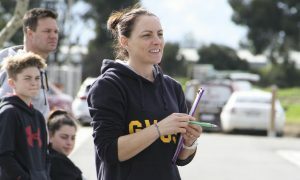 Goulburn Valley Grammar School was born from the vision of local families. This dream has been a reality for over thirty years but the school has not lost sight of the importance of the maintaining these connections with the local community. 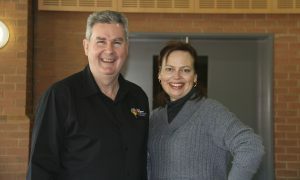 The school community is an extended family which connects people from across Northern Country Victoria. The strong support which continues to be provided by this extended family is one of the hallmarks of the School. We can see this in action when parents regularly attend school assemblies and participate enthusiastically in special events and activities. Our students come from communities surrounding centres such as Seymour, Nagambie, Benalla Yarrawonga, Tocumwal, Cobram, Echuca, Kyabram and districts within and surrounding Greater Shepparton. The diversity that exists in the school community is one of its great strengths. The outstanding level of community support provided through parent support groups is another demonstration of the depth of community spirit. Parents are actively involved the school through a range of support groups including the Parents and Friends Association, Mothers’ Club and Tuckshop volunteers. Many parents are also actively involved in the sporting programme through coaching and managing teams. Others are involved in Productions through costumes and backstage support. Parents and Friends: The Parents and Friends has continued to work hard towards their key goals of building community connections through supporting school events and activities. These activities provide social opportunities for parents and build the school communities’ relationships. Another key goal is raising funds to support the development of facilities and programmes at the school. 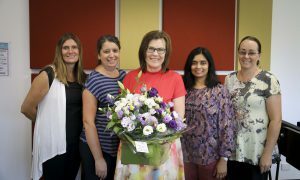 Mothers’ Club: The Mothers’ Club has continued to build community relationships by their involvement in both running and supporting major school events including Open Day, Grandparents’ Day and new parent evenings. Through supporting these activities, many parents come together to form friendships and contribute their time and skills to the school community. 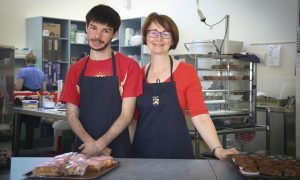 Tuckshop: The tuckshop continues to be operated by a combination of employed staff and volunteers from the school community. Our Tuckshop manager is assisted by staff and volunteers with the goal of offering a variety of meals and snacks to the school community. The role of volunteers is vital and the school is extremely fortunate to have such a committed and enthusiastic group. Parent Helpers: Parents also provided invaluable assistance in many other areas of school endeavor. Parents assist the School as coaches and team managers of many sporting groups such as Netball, Soccer, Badminton and Equestrian activities. Parents are also essential helpers in the School Productions providing valuable assistance behind the scenes in costumes, make up, set construction and design, props and front of house.